Winter is in the air here in the Northeast, and it’s time to start thinking about heating the home for the upcoming season. There are many options to keep warm in winter. Obviously, there might be limits where you live and the type of primary furnace you have, but I’m going to run through the main alternative heat sources that will give both your furnace and your wallet a break. Probably the oldest form of heat, wood can be an economical way to heat your home, but it has its drawbacks and expenses. If you are cutting your own wood you will need a truck or a trailer to haul it. 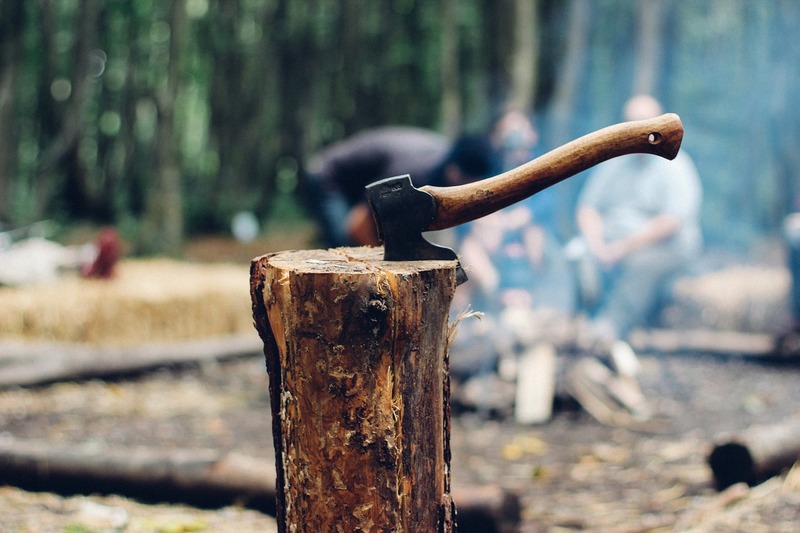 You’ll also need a log splitter, a saw, and other cutting equipment like rope, pulleys, etc. So, you will have a high initial set up cost. A dry location to store it is also imperative. Wood will only last so long, so you can’t keep too much at once. Fresh cut wood needs time to season and dry out before you can burn it. As you can see, there is quite a bit of physical labor and planning when acquiring and storing wood. If you need to purchase a quality wood burner expect to spend a few thousand dollars on the unit itself and on the accessories and labor to have it installed. After you have spent the initial set up costs, and you are up and running with a source of wood you will be enjoying an economical heat source. But, expect to be actively keeping after matters. Wood stoves are quite a bit of work. You will be adding wood to the fire and cleaning out the ash pan daily. Plus, if you plan on being away for an extended period of time, you will have to have someone tend to your stove, or you will have to rely on a different heat source once the fire burns out. Heat from a wood stove can be inconsistent and will rise and fall with the size of the fire. Due to this, it may take some time to dial in your stove for optimal heat and efficiency. While wood can be a good source of economical heat, it often comes with high initial setup cost and higher labor than other heat sources. Wood pellet stoves can be a good alternative to traditional wood stoves. They offer more convenience, less labor, and produce a more consistent heat into your living space. Again, prepare to spend several thousand dollars on the unit and setup, but once you install a pellet stove, it can greatly reduce overall heating costs. Pellet furnaces are available, but most smaller units are supplemental heat sources. These units will only burn wood pellets, which are basically sawdust pressed into small cylindrical pellets. They are dumped into a hopper in the rear of the unit and are fed via an auger into the burn pan. After filling the hopper, you’ll get up to 24 hours or more of burn time before you’ll need to refill it, depending how cold it is outside. You will need to buy pellets, but they are readily available at most hardware stores and some big box outlets in convenient bags. Often buying a large quantity will save you money, as they are available on a pallet by the ton. There are a few things to know about pellets. Be aware that pellets must remain completely dry. If they get wet, they can swell or crumble into dust. In either case, they will be unusable. They do burn clean and produce a smaller amount of ash than traditional firewood, but you will still need to tend to and empty the ashes on a regular basis. Pellet stoves can be a good supplemental heat source but be aware of the drawbacks. You’ll need to purchase pellets and store them in a dry place. The hopper and auto feed feature allow for extended burn times, but again, like a wood stove, you will need to tend to it at least every day and a half to refill the pellets and empty the ashes. Another traditional heat source, nothing produces more BTU pound for pound than coal. A supplemental coal stove will heat even the largest home with ease. Coal is often abundant and inexpensive in most areas, and storing it is typically worry free. It doesn’t really matter if it gets wet, pests won’t get into it, and it won’t lose BTUs over time. Coal typically has a long burn time, so you’ll only need to tend to your stove once a day or so depending on how cold it gets. Like other heat sources, you can expect to make a high initial investment getting set up. Coal can be dirty depending on the type you are burning. Soft coal burns with a lot of soot and odor. Hard coal burns much cleaner but is more expensive, and you will likely need a specialized stove to use it, as it burns extremely hot. Coal can produce a tremendous amount of heat, but you will need to purchase it and have a place to store it. It can be dirty and produce a bad odor, and like other solid fuel stoves, you will need to tend to it on a regular basis. Often called space heaters, these units are a quick, easy way to heat up a small space. They come in all shapes and sizes, are available at most stores, and are fairly inexpensive. Just plug it in, set the output level, and it produces instant heat without any more work or effort from you. But, using these will increase electric usage, so you could lose any cost savings you realize in other areas, with a higher electric bill. Also, these heaters are typically smaller and only good for heating a small space or a single room at a time. They are not ideal for heating your entire living pace efficiently or cost effectively, but are a good option for heating a smaller area, such as a bathroom or a small living space. There are many ways to supplement heat in your house. I have gone through a few of them. All have their pros and cons. Heating costs for more traditional heating sources such as natural gas, propane, and oil fluctuate dramatically over time. It may be more cost effective to simply use your primary heat source and not supplement it with a second means of heat. It depends on current prices of heating fuels, your location and availability of alternate fuels, and the size and efficiency of your home. Determine which source of heating makes the most sense for you and your particular situation. You can often realize some cost savings by supplementing your primary heating needs, but often it comes with additional work and high upfront costs. The extra work and expense may not be worth it. The point is, you do have options this winter. Do your homework and determine if one makes sense for you. How do you heat your home in the winter? Share your thoughts with us in the comments below.